The O‘ahu branch of the Institute was given its name by Kumu Roselle Keli‘ihonipua Bailey. The branch was begun by her daughters, Sharon Ioane and Pohākalani, while they were studying at UH-Mānoa. 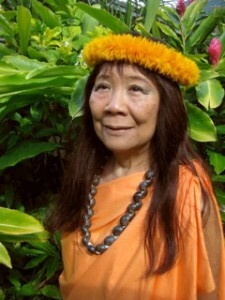 Since 1988, Hula Alapa‘i i Noho i Kuali‘i has been led by Hi‘ipoikealoha (Cheryl Ogawa Ho). 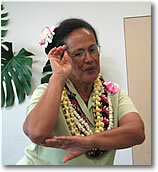 Cheryl began her study with Kumu Bailey in 1979, at Kīlauea and Kaumakani, Kaua‘i. Mrs. Bailey gave her the hula name of Hi‘ipoikealohaokalaniki‘eki‘e before Cheryl moved from Kaua‘i to Oahu. Having continued her study of all aspects of hula with Kumu Bailey, Hi‘poi is acknowledged by Kumu Bailey as a kumu under Ka ‘Imi Na‘auao o Hawai‘i Nei. Hi`ipoi’s partner, Kahana, provides invaluable inspiration and knowledge from her own study of the ‘ōlelo, culture, and crafts of Hawai‘i and her background in music and performance. Residing in Honolulu, seat of the Hawaiian Kingdom and site of many key events, the O‘ahu branch of the Ka ‘Imi is increasing its kuleana for learning about the ali‘i. This includes becoming familiar with the institutions which perpetuate their legacies, and the key events, past and present, which shape(d) Hawai‘i’s life. Dances and other cultural material are presented in the context of the history, the ‘āina/kai, and the spiritual base of hula. 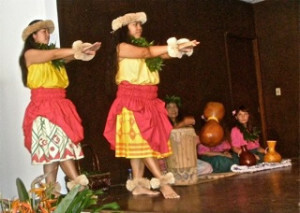 Haumana are encouraged and helped to learn traditional hulas and chants, as well as contemporary dances. In the process, they become more familiar with Hawaiian language, values and practices. They learn about native plants, and how to make their own leis and other adornments. Periodically, there is a Ho`ike. At that event, haumana are encouraged to show the new and improving skills they have learned during their hula study. Live music is provided by Kahana, and a pa`ina follows! Classes for beginning haumana and those with varying degrees of experience are held weekly. 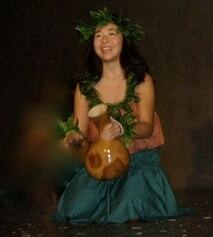 A sincere desire to study Hawaiian culture and dance is required; commitment of two years or more is preferred. Classes are small, allowing for individual attention and assignments. Nu`uanu Valley Park is on Laimi Road, just mauka of Queen Emma Summer Palace on Pali Hwy. For more information, please phone Hi‘ipoi (English name: Cheryl) at (808) 651-2303. Mahalo!